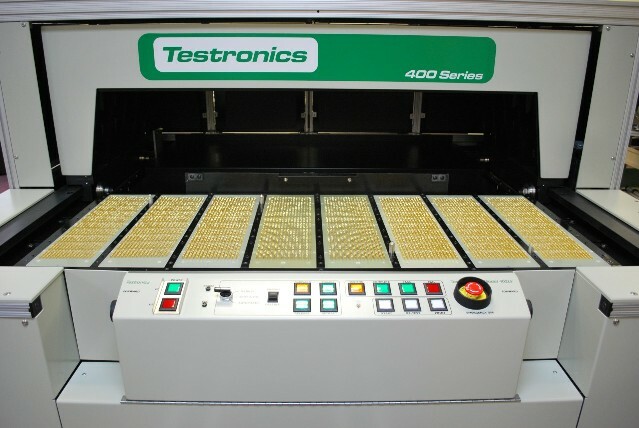 The trend in backplane / backpanel manufacturing is to build larger and more dense assemblies. Even today, backplanes with 40,000 test points are not uncommon. 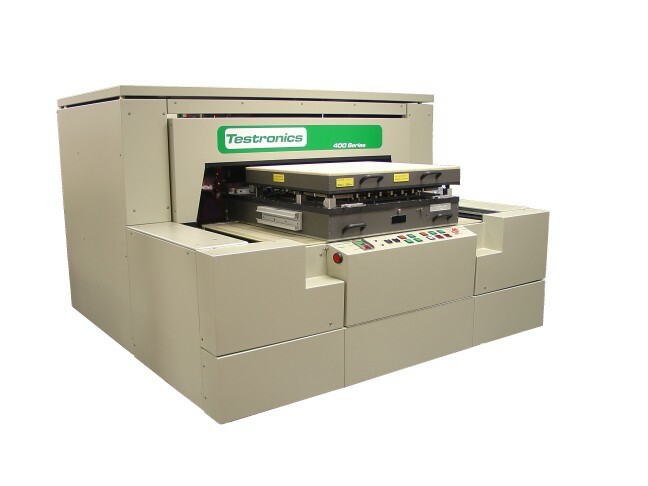 We developed the model 402 to address the test requirements of backplanes that are physically very large or have test point counts exceeding the 20k limit of the model 401. Reduce the cost of fixtures 10% to 20% by eliminating transfer pins. The 402LV provides up to 24,576 active test points located in the top press assembly. 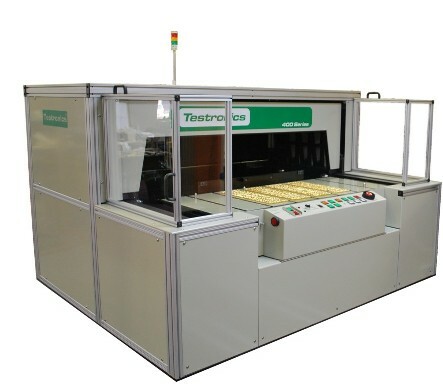 The Testronics 6 wire (pure pin) switch matrix card connects directly to the top side spring probes, thereby providing superior signal & measurement capabilities. Do you have an existing model 401? Click here to see how to upgrade your 401.